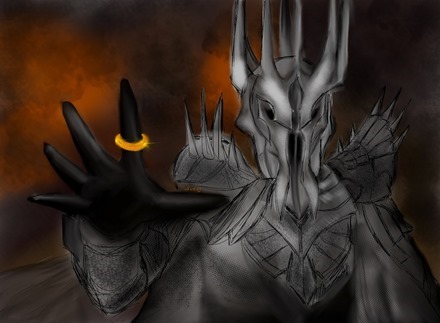 Our featured iPad painting this weekend is ‘One Ring to Rule Them All’. This image is by SKR Imaging – another favorite iPad artist whose work I’ve admired since way back in the early days of iPhone and iPad art. This iPad painting was created with the Art Studio app, and I find it very powerful image. And of course a great one for Lord of the Rings fans. The SKR Imaging Flickr stream is full of lots more of his excellent iPad artwork. Check out our own iPad Art section for more great iPad paintings from a number of incredibly talented iPad artists.